Continuing my suddenly obsessive System 100 stripboarding with a boring bit, the voltage controlled amplifier. I wasn’t expecting this to be amazing sounding, being not much more than a CA3080, but I thought it was worth a go as I’m trying to replicate the original as far as I can. Here’s the original VCA, with the blue marking on the 3080 presumably to show that it has been selected for low CV feed-through. I’ve seen circuits for matching OTAs, but I’m not clear how best to select for low CV bleed. Maybe it’s just a case of trying a bunch of 3080s to see which is the least clicky. I wanted to keep the mix input from the 102, so I built the thing around Q337. Also not having a TA7136 SIP opamp to hand, I just subbed in the usual (non-inverting) TL072-based CGS DC mixer on the end, which was a mistake. As I understand it now, the System 100 VCF inverts the signal from the VCO, and the VCA inverts it again, so it’s all back the right way up. As it stands, my layout inverts it twice, so input to the VCF eventually ends up inverted. Incidentally I can’t imagine the TA7136 will make much difference, but now I’ve just had some arrive in the post, I’ll build a version with it. To give an idea of my general confusion, I spent an evening wondering why the output from the VCF was crazily offset by a number of volts, before realising that this would be sorted out by the capacitor C324, which is on the VCA board. Just because it seems all nice and modularised doesn’t mean that it is. 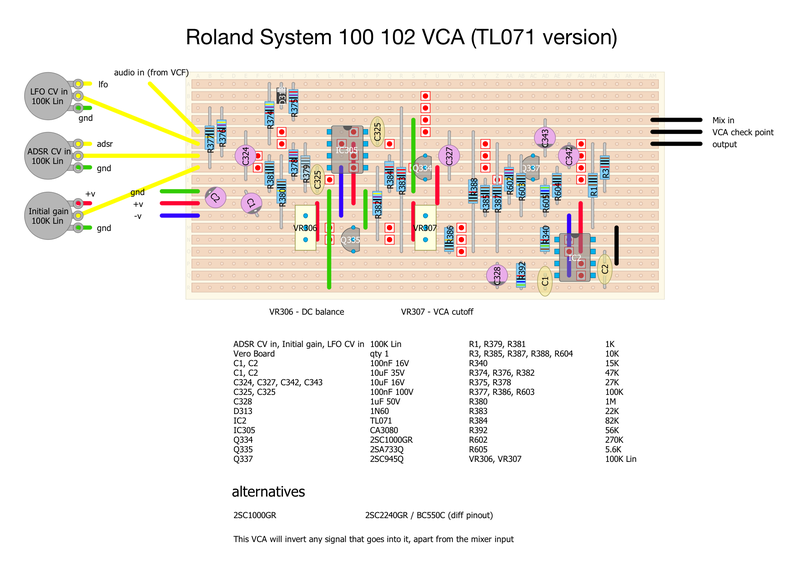 Here’s a demo with the envelope on the System 100 101 keyboard modulating the VCA cutoff. It gets clicky like my SH-5 with the envelope on a short release and the filter cutoff low, it might be that I need to find a better 3080. One mod that might be interesting is to boost the input to the VCA from the VCF to see how it overdrives. Maybe messing with R378 on the input to the CA3080 might do the trick. Here’s a stripboard layout for the inverting version using a TL071, any corrections or improvements joyfully received in the comments below, taaaa. thanks a lot. the system 100 and 700 are prob my favorite of all time. since I don’t have the option of buying accurate system 100 clone modules for a decent price or even at, looks like walking through the Veroboard torture chamber is my only option for getting some system 100 modules.some of the components look tooo hard to find like the u726 and other u mention. I just wish there were some slightly easier layouts with new components for the few out of production components. 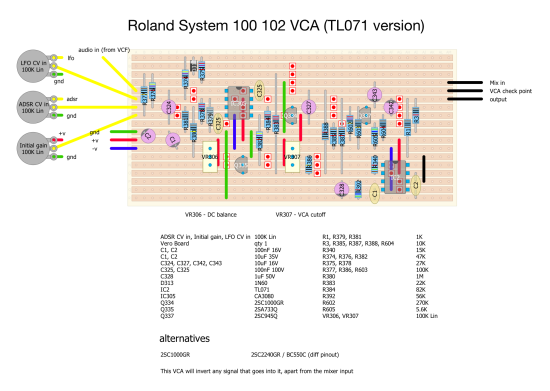 I wonder hw much the vca contributes to the sound of the system 100 or 700??? wish you would hae done more sound clips but thanks a lot anyways. looks like a lot of effort in these layouts. Not what you asked, but if I was going to build one thing, I’d do the 100 VCF, it sounds really fruity. I’ve briefly had that running on +/-12V, and it still sounded good, although it might need some tweaking, my test was just a quick one to see if it worked. I imagine the rejigged-for +/-12V 100M clone PCBs you can get would probably be near enough for the rest of it, and I think they mostly use in-production components. I’ve never done much mixing of stuff between the 100M/700 and the 100, but one thing I did notice was that using the 100M envelope on the 100 made it hit harder (maybe partly down to the greater output level) – but at the time I thought it lost a bit of “plucky”-ness. Tbh tho I would need to go back and record demos to be sure. yea I have listened to the 100m manytimes and it does not move me like the system 100 but I do agree that the 100m envelope maybe a little more desirable. yea I will start off with the vcf and vca you layed out. you said the vca sounds really good. 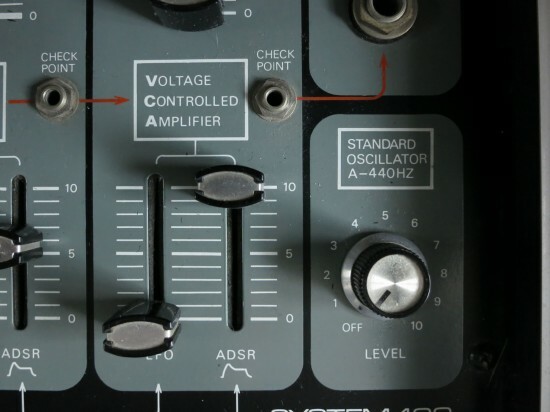 I always wondered how much the vca contributes to the sound of the system 100. I was a little bummed when I realized that frequency central is offering 100m pcbs not system 100 pcbs!. unfornate for me. im scared of your system 100 vco because of its size and expo con. but it plays a pretty big role in the sound of the system 100 I do believe. 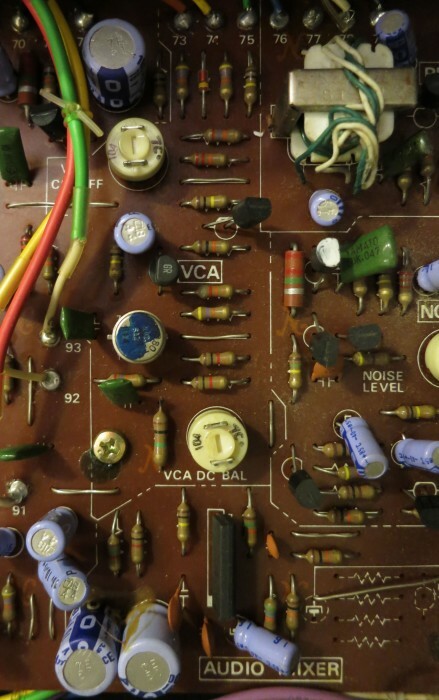 I heard a rumor that the 100m and system 100 vco are almost identical. so I will say a little prayer before comparing schematics. it would be great if they were identical or close but im doubting it. I wouldn’t say the VCA is particularly special – I think it’s the VCF that makes the difference. Given a chance I’ll do a demo of the System 100 through the 100M VCA, and also one of the (Curetronic-clone) System 100M VCO through the System 100, everything is set-up for a track at that moment. Done some demos of my original System 100 (not the DIY version) versus my clone 100M over here : http://ua726.co.uk/2018/11/29/100-vs-100m-clone-vca-and-vco/. Although I realise now that mine are built with clone BA662s rather than whatever OTA the FC ones are built with (probably an LM13700?) so these probably aren’t that that good a test, but anyway. and this inverted version sounds pretty good. not sure what the difference between inverted and non inverted sound wise? 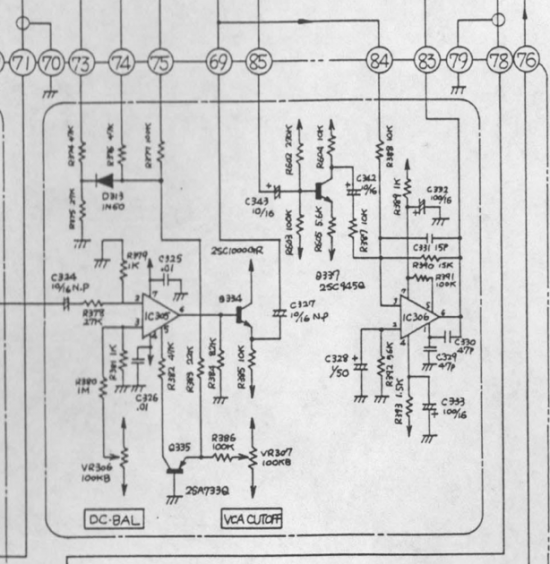 I have a couple th vco-1 into a ms-20 vcf. would it sound good to run a ms-20 into this inverted version? and is inverted the usual? layout looks great by the way and im thinking about building it. Can’t think you’d be able to tell the difference between the normal and inverted version to be honest unless you were mixing non-inverted versions after the VCA? Never tried it with the MS20, should be ok.